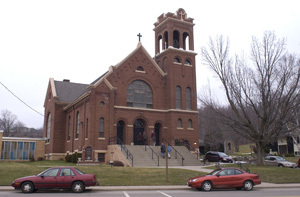 Modern picture of St. John's Catholic church. A picture of the museum. Picture of Yellowstone Trail marker.